Judy Gibbons is a Teaching Artist and Equity Actor. She began her career at the Whole Theatre, a regional theatre in New Jersey, and was a founding member of the ensemble company Thunder in the Light. 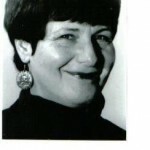 Judy was also the creator/director of Artistic Process, teaching adult acting in Montclair, NJ. Judy has studied with such great artists and notables as: Olympia Dukakis, Paul Sills, Remi Bosseau, Gerald Fierst, Robert Alexander, Julie Bovasso, Julie Lyonn Lieberman (Voice), Lenora Champagne, Sharron Miller, Ellen Stewart of La Mama, Richard Schechner and Judith Malina. As a teaching artist, she has touched the lives of many children and adults at such venues as, Montclair Public Schools, Sharron Millers Academy for the Performing Arts, Paper Mill Playhouse, Carnegie Hall, New Jersey Performing Arts Center, PLaywrights Theatre of New Jersey, Very Special Arts, Educational Theatre Company for the NJ Department of Disabilities,Project Link, Newark, NJ, Arts High School, Newark, NJ and many schools in the NJ and New York Area. Prior to relocating to Champaign, Judy taught Speech and Communications and Bergen Community College. She holds an MA in Theater from New York University and an MSW from Rutgers University. Judy has a great love of theatre and theatre-in-education as a vehicle for artistry and appreciating the art form of theatre. She is thrilled to be part of Class Act and looks forward to the artistic work and talents of all the students.